Keep boats covered and cool with one fabric. From bow to stern, Aqualon Edge marine fabric offers coverage and protection. Equipped with Perfecta Marine®, a heat gain reduction technology, the canvas keeps interiors drastically cooler than leading brands. Whether on the water or in storage, boats and objects will stay cool and shielded from sun, salt, mold, mildew, and abrasion. Great for making any sized boat cover, Aqualon Edge is water resistant, flexible, resilient, and easy to fabricate. Use the material for boat covers, marine tops, enclosures, cockpit covers, and biminis. The boat cover fabric is available in 20 different colors, including Classic Silver and Nautical Navy. All backed by a 7-year warranty. Aqualon Edge Soft is an extension of Aqualon Edge that features a plush, warp-knit backing for added protection underneath. Extending the same features as standard Aqualon Edge, it keeps interior temperatures cool and surfaces damage-free. The soft backing makes it safe for use with delicate objects, painted surfaces, and sensitive gelcoats. For marine purposes and beyond, Aqualon Edge Soft is a great choice for antique or wooden boat covers, storage covers, marine enclosures, grill covers, outdoor furniture covers, and more. Available in 11 colorways, the fabric comes with a limited 7-year warranty. 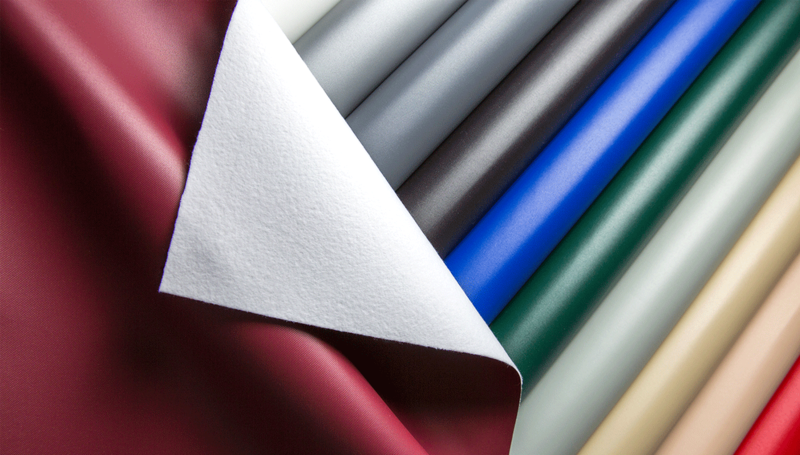 Located in our marine binding section, you’ll find binding made with Aqualon Edge fabric. The fabric strips are used to finish off the edges of boat covers and tops. The double-folded straight-cut trim allows easy handling. Pair the edging with Aqualon Edge fabric colors for a smooth design. Choose from 22 different colors.